Rt. Hon. Justin Trudeau, the Prime Minister of Canada, called on the President of India, Shri Ram Nath Kovind, at Rashtrapati Bhavan today (February 23, 2018). Welcoming the Canadian Prime Minister to Rashtrapati Bhavan, the President said that India attaches high priority to its partnership with Canada. Our shared values of democracy, pluralism and the rule of law bind us together. 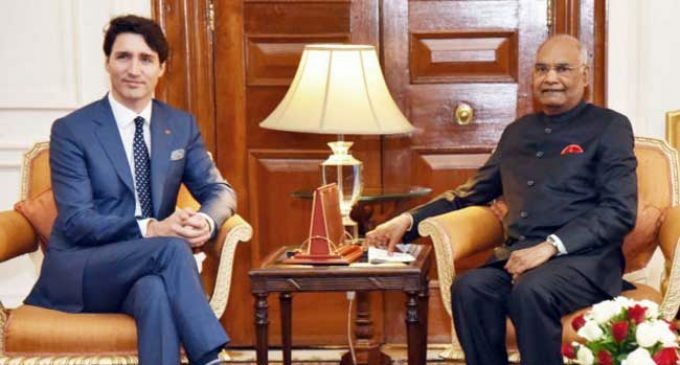 In recent times, India and Canada have made significant progress in our cooperation in the areas of investment, education energy and connectivity. 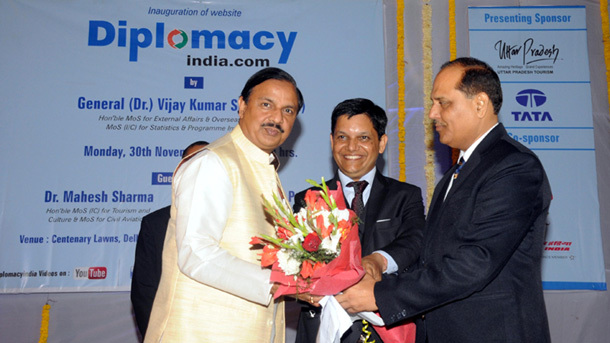 The President said that the India-Canada economic partnership hold immense potential. The Indian economy is growing at a fast pace. It opens new opportunities for Canadian investments. India invites Canadian companies to partner its initiatives such as Make in India, Digital India, Start-up India, Smart Cities, infrastructure development and Skill India. The President emphasised that the two countries should look at ways to enhance and diversify their bilateral trade. The President said that democratic and pluralistic societies like India and Canada face common challenges from forces of terrorism and extremism. As strategic partners, we should stand united in the fight against terrorism, separatism and extremism.